In a departure for AltrOck, a label normally associated with the more avant end of the progressive spectrum, Estonian band Wrupk Urei have crafted a highly individual instrumental palette that dips its brush into space rock, or possibly inner-space rock, odd combinations of percussion and instrumentation and joyous massed larking about. While sounding fresh and inspiring, there is nothing at all avant about Kõik saab korda. Indeed, the fun and optimistic vibe throughout this record is reflected in its title, which translates as “Everything will be OK”. This is the first CD issue of the band’s first album, originally self-released in digital form in May 2012. If you look at their Bandcamp page (link below) you will see that they released a second album in January 2013 entitled Teahupoo, and I will be sure to check that out once this review is completed. The only other modern Estonian band I am aware of are Phlox, who share some reference points with Wrupk Urei, but Wrupk are less jazz and avant inclined, building their infectious grooves from relatively simple riffs and an ear for a pop hook. They do dabble in the less obvious time signature now and again, but not to the extent that it ever makes their tunes anything less than accessible. Siim Randveer on the guitar deploys conventional rock stylings that will further enhance the band’s appeal to those of you who might find some of AltrOck’s other output a little challenging. The title track opens the album, and builds slowly in the hypnotic manner of Gösta Berlings Saga, but instead of heavy rock orientated instrumentation conveying the menace, here it is inferred by what sounds like marimbas and later by a brass and reeds section featuring baritone saxophone, trumpet and trombone. Processed dog barks form a rhythm track on Veenuse koopas (Venusian grotto) as the bass lurches along in a club-footed funky rhythm amid all manner of strange sounds. The cumulative effect is quite odd, but most definitely fun, as if Zappa had joined a Zeuhl band for a day and brought along a brass section. Understandable concerns past and present with the menacing bear at their borders are expressed through Kriminaalne Venemaa (Russian criminals) and Vähemalt 500 nõukogude tanki (At least 500 Soviet tanks). The former is a surprisingly sprightly and jolly affair, the latter a mekanik destruktiv beast of a song, heavy and bumping along relentlessly. The flanged bass line alone is worth the price of admission. Throwing in Sai ju räägitud! (this may translate roughly as “We got noticed, at last!”), a gloriously visceral punk charge led by Siim’s spiky guitar figure actually comes as no surprise, given Wrupk Urei’s laudable refusal to be pigeonholed, and should get the crowd on its feet. Following this is Valteri ohtlik elu (“Danger in Valteri” (a Latvian port) – possibly!) a lovely slow atmospheric song based on an acoustic guitar figure that slowly builds in intensity. This video is actually “Algiers – New York – Luunja”, not the title track as it indicates! After the 500 Soviet tanks have laid waste to the surroundings, the slinky groove laid down by Lauri Randveer leads us into a contemplative inner space for a rest. This is the Algiers – New York – Luunja travelogue, as quiet synthesiser drones gently sway in the celestial breeze to be joined by brass and reeds parping away in repetitive hypnotic fashion before a jerky version of the dream is supplied by Siim’s guitar. The tune is eventually brought down to Earth as Siim noodles away in fine albeit brief fashion, to end with some vintage organ sounds. This tune encapsulates the fine ensemble playing of Wrupk Urei, a feature throughout. The introductory brass and reeds tune of Konstruktor puts me in mind of Madness – I kid you not – before the thing veers off into orbit with some restrained sustain howls from the guitar, bouncing off the back of piano chords, with the brass returning for the conclusion. Kõik saab korda is a great way to spend 47 minutes, and it is chockfull of delightful twists and turns. It is also a new byway for AltrOck, showing their search for the unusual goes on unabated. 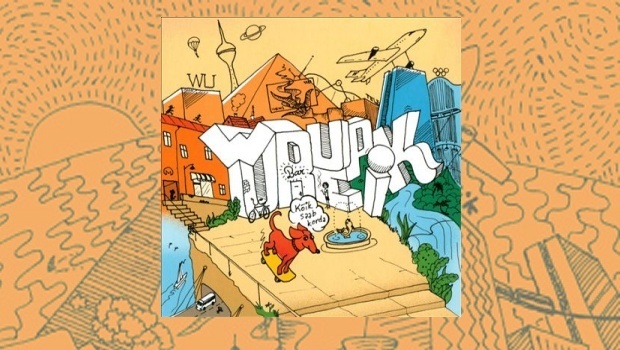 Should Wrupk Urei make another album, count me in!